In 2015, FIU announced plans to build CasaCuba as the leading venue outside of Cuba for the creation and dissemination of knowledge about Cuba and the celebration of Cuban culture. As a gathering place for researchers, students, the South Florida community and visitors from around the world, CasaCuba will offer a welcoming home away from home to learn about Cuba and the Cuban diaspora, and a think tank that provides a forum for exploration and discussion of Cuban affairs, producing impactful analysis to guide policymakers and business leaders. As a cultural institution, CasaCuba will celebrate artistic expression in all its forms, recognizing talent and achievement and inspiring creativity in the Cuban community and beyond. CasaCuba has launched a campaign to secure funding for the design, construction and operational endowment of its planned building. Major gifts to date include $2.2 million from the James S. and John L. Knight Foundation and $1 million from local business leader, chairman of the CasaCuba Board of Advisors, and FIU Foundation Board of Directors member Agustín R. Arellano, Sr. and his family. 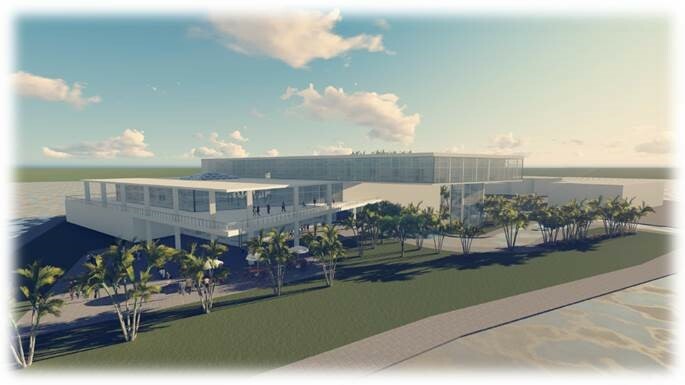 FIU’s Next Horizon campaign is raising funds to secure the match for this grant and make the vision for the facility a reality. To learn more about CasaCuba´s history, leadership and current activities, click here. Eduardo M. Sardiña – former president and chief executive officer of Bacardi U.S.A.